Do you feel like you got it? 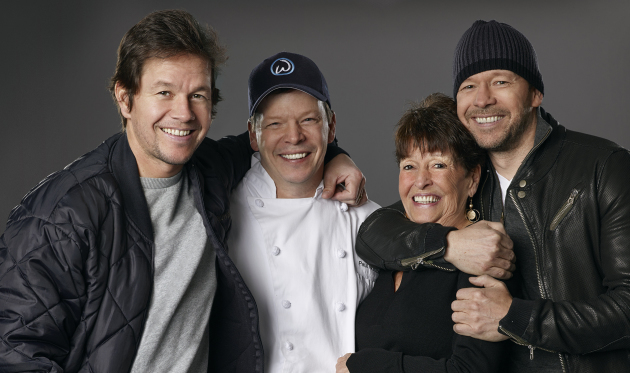 You know, the right stuff to win VIP tickets to meet the Wahlberg brothers, Mark, Donnie and chef Paul? The brothers will be in person at the Mall of America rotunda at 6 p.m. on May 31. It's open to the public and anyone can attend the brothers' appearance. But if you want to feel the good vibrations up close, Hy-Vee is offering a chance to win a VIP experience for two, including a meet and greet with the brothers and dinner for two at the Wahlburgers new Mall of America restaurant. To enter, go to any of the eight Hy-Vee stores in the Twin Cities (Brooklyn Park, Cottage Grove, Eagan, Lakeville, New Hope, Oakdale, Savage and Shakopee). Purchase any of the Wahlberg's products at Hy-Vee, including Wahlburgers at Home beef (a mixture of brisket, short rib and chuck), Performance Inspired nutrition supplements and Aquahydrate enhanced water products. At the register, swipe your Hy-Vee Fuel Saver + Perks card to be registered automatically. Each item purchased counts as an entry, so buying three items counts as three entries. Customers who don't have a fuel card can sign up free before making purchases or can go to the service desk and get a mail-in option, which does not require a purchase. The contest in progress continues through May 28. There will be eight winners, one from each of the eight Twin Cities stores, who will each be able to bring one guest to the event on the evening of May 31. Winners will be notified by phone. Last year Hy-Vee went into a franchise partnership with the Wahlbergs to open 26 restaurants in the eight states where Hy-Vee has stores. None of the restaurants will be in Hy-Vee supermarkets, but Hy-Vee's Market Grilles will put some of the Wahlburgers sandwiches and drinks on the menu in the fall. Wahlburgers sells sandwiches, burgers, and salads under $10 in a casual setting. The Mall of America location is the first of the partnership restaurants to open. The Boston-based chain has 26 locations in 11 states and Canada, not including the Mall of America location. A location in Coney Island, New York closed last year but will re-open, according to the website. Only two Minnesota cities made the list of towns with the most Target stores per capita. Seven of Galleria's tenants have closed or will be closing within the next 15 months.